Nostalgic stripes and bold flowers combine to create the latest style. 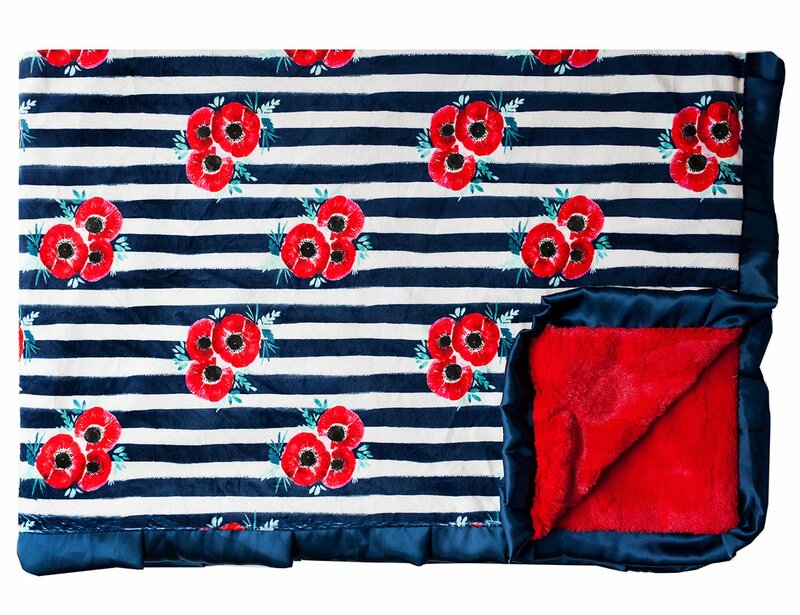 Navy stripes with clusters of red poppies. Red minky back and navy satin ruffle. Lined with Poppies is an exclusive design and can only be found at Minky Couture.